SENDAI, Japan, March 19, 2015 (ENS) – Death, injury, displacement and destruction following natural disasters could be reduced by 2030 under a new framework adopted by countries attending the 3rd UN World Conference on Disaster Risk Reduction, in Sendai. As the conference wrapped its five-day meeting Wednesday after a marathon round of negotiations that continued for over 30 hours straight, representatives from 186 of the UN’s 193 Member States agreed on the new global disaster plan that aims to reduce deaths and economic losses. Japanese Prime Minister Shinzo Abe pledged US$4 billion to support implementation of the “Sendai Cooperation Initiative for Disaster Risk Reduction” over the next four years to enhance the disaster risk reduction efforts of developing countries. The Sendai fund will focus on the development of disaster-proof infrastructure, the promotion of global and regional cooperation and the training of 40,000 government officials and local leaders to take the lead in national efforts for disaster risk reduction. Japan will make its expertise and knowledge available, said Abe. The new agreement will take the place of the current Hyogo Framework for Action adopted 10 years ago at the last global disaster risk reduction conference after the Indian Ocean tsunami, which claimed 227,000 lives. 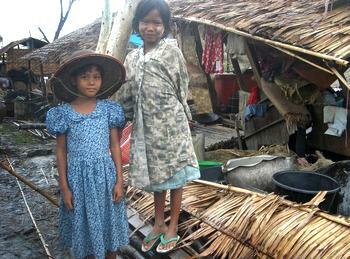 The Hyogo Framework for Action reduced the number of people directly affected by natural disasters in Asia, where most such disasters occur, by almost one billion, according to UN data. Yet over the past decade, disasters have killed more that 700,000 people, injured 1.4 million, and left some 23 million homeless. Overall, more than 1.5 billion people were in some way touched by disaster and worldwide economic losses topped $1.3 trillion. 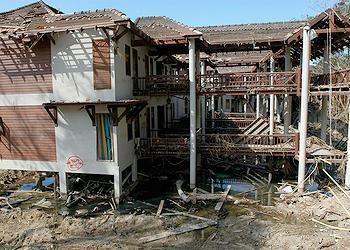 * – increased access to multi-hazard early warning systems and disaster risk information and assessments. The goal of reducing economic losses in relation to global GDP by 2030 may be difficult, if not impossible, to achieve, new research indicates. A catastrophe modeling study from risk management firm AIR Worldwide showed it is unlikely countries can cut disaster losses from present levels of $240 billion a year. “The study tells us that it is next to impossible to reduce existing levels of economic losses,” said Dr. Milan Simic, senior vice president of AIR Worldwide. He views the current numbers as a baseline and context for improvement. The AIR Worldwide study recommends making economic loss data more accessible, cost benefit analyses of measures such as land-use and urban planning, and the promotion of risk transfer. The full global study will be issued in July. “Implementation of the Sendai Framework for Disaster Risk Reduction over the next 15 years will require strong commitment and political leadership and will be vital to the achievement of future agreements on sustainable development goals and climate later this year,” said Margareta Wahlström, who heads the UN Office for Disaster Risk Reduction. “The adoption of this new framework for disaster risk reduction opens a major new chapter in sustainable development as it outlines clear targets and priorities for action which will lead to a substantial reduction of disaster risk and losses in lives, livelihoods and health,” said Wahlström, who also serves as the UN secretary-general’s special representative for disaster risk reduction. The conference was attended by over 6,500 participants, including 2,800 government representatives from 187 governments. The Public Forum had 143,000 visitors over the five days of the conference making it one of the largest UN gatherings ever held in Japan. The conference was held in Sendai, which was devastated by the earthquake and tsunami on March 11, 2011 that touched off the disastrous nuclear meltdown at the nearby Fukushima Daiichi power plant. 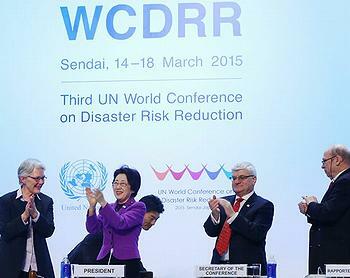 “Japan’s special relationship with the global disaster risk reduction community has been strengthened by the outcome of this world conference,” said Conference President Eriko Yamatani, Japan’s minister of state for disaster management. “Successful implementation of this new framework will mean a reduction of existing levels of disaster risk and avoidance of the creation of new risk,” she said.